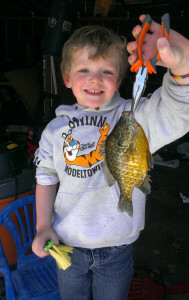 Isaac Rose, age 4, son of Jackie and Eugene Rose, of Tyrone Township, caught his first sunfish measuring 7-3/4 inches, in Myers Lake last month. 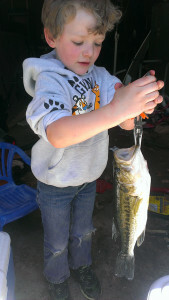 Ten minutes later he caught a 16-1/2-inch small mouth bass! Congratulations, Isaac, you made the Post Catch of the Week!